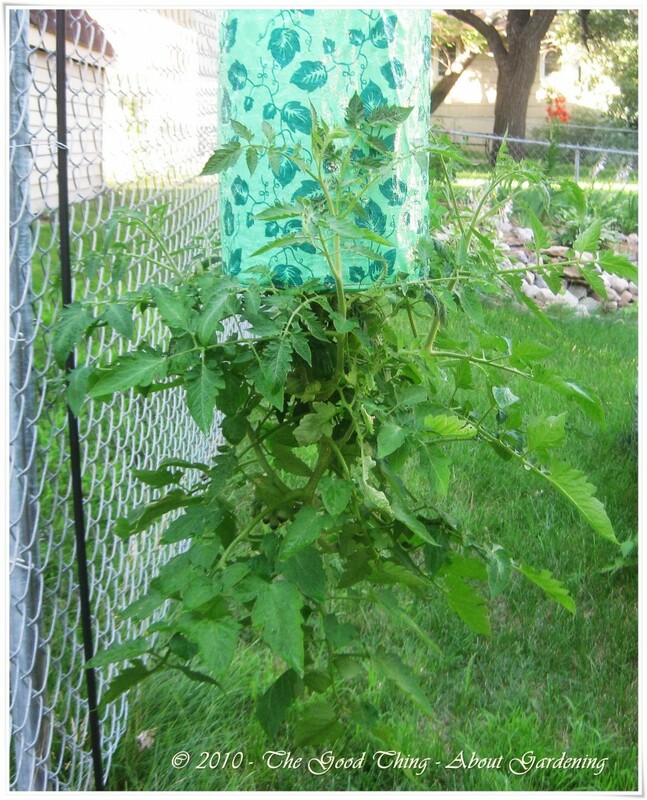 From a distance, the upside down tomato plant looks like it is thriving. I’ve been watering every evening that it doesn’t rain. However, we had above average rainfall in June, and July has been pretty wet so far too. 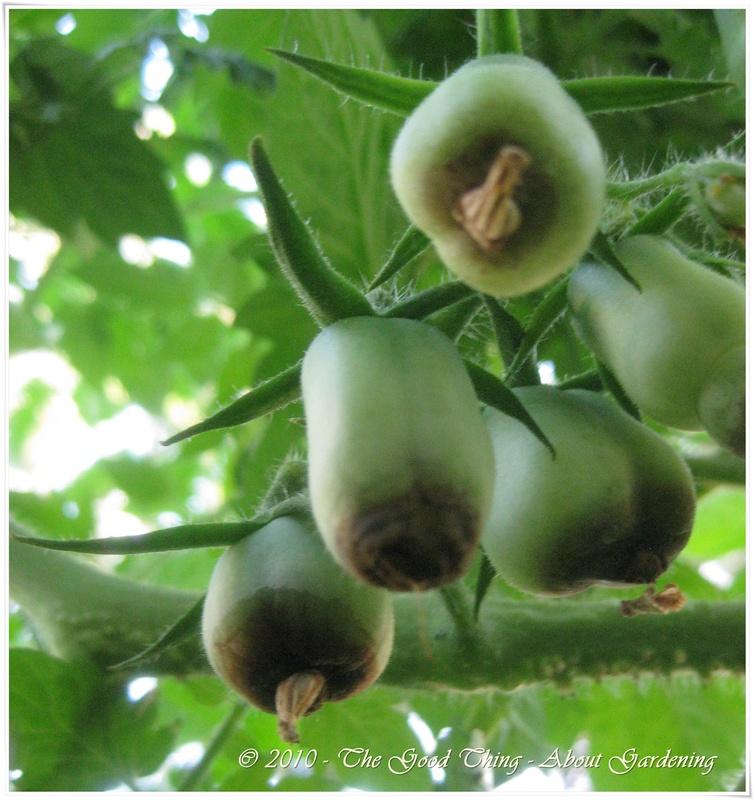 This evening when I was watering, I noticed that the cute little tomatoes on the upside down tomato plant all had black bottoms. 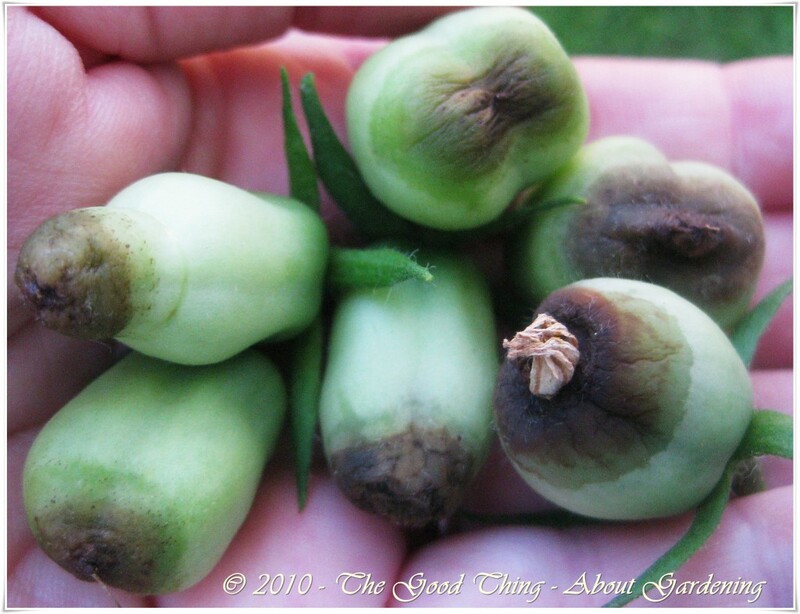 Although I’ve never seen blossom end rot on such small tomatoes, I’m pretty sure that’s what it is. Blossom end rot is usually caused by excessive moisture or inconsistent moisture content in the soil which causes a calcium deficiency. It has been difficult to keep the plant evenly watered due to all the rain followed by hot, summer days. Once the fruit is diseased, there’s nothing that can be done, other than to remove them from the plant, which I did. I’ll have to keep a closer eye on the planter and make sure that it doesn’t dry out too much, or get waterlogged. It is hanging in an area that gets full sun and plenty of air circulation so I don’t think that’s the problem. I may try adding a layer of mulch to the inside of the planter to help retain moisture evenly. 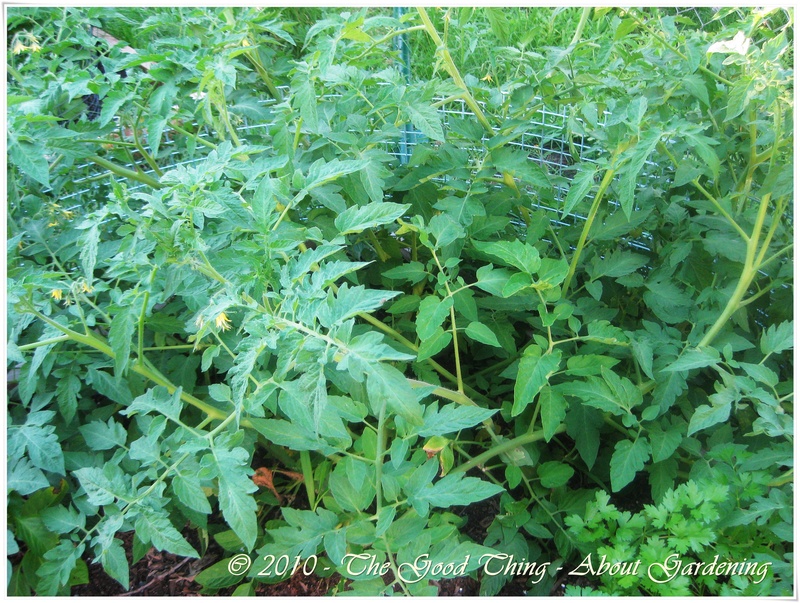 The tomato plants that are growing in the raised bed garden are very healthy and have shown no signs of blossom end rot. It is much easier to keep the moisture content consistent in the raised beds. These Brandywine Heirloom tomatoes look and smell delicious. Can’t wait until they’re ripe and ready for the table! 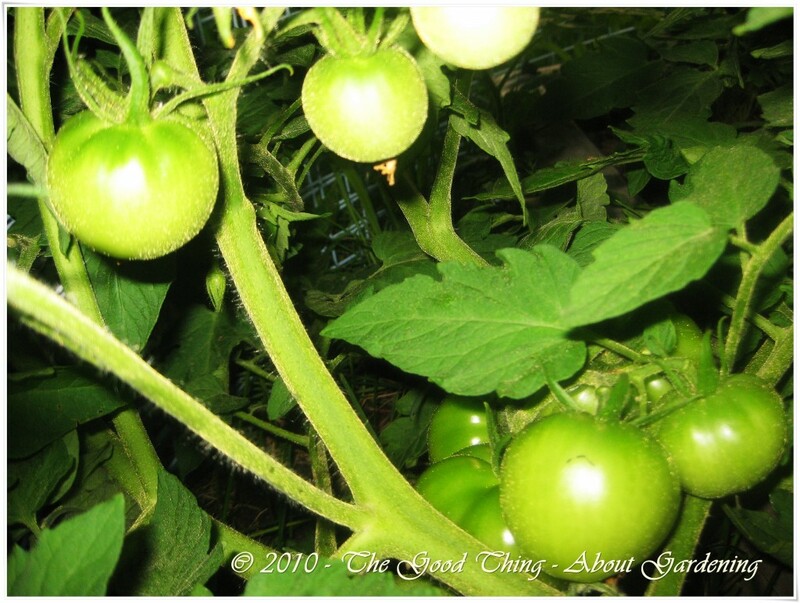 Your tomatoes look great. I’m experiencing a bit of blossom end rot. I just remove the damaged fruit and move on. There’s plenty more. Thanks. As long as the rest of the tomatoes stay healthy I’ll have plenty too. I’ve never seen BER on such little ones though. I’ll stop by and check out your blog.